Plumbing problems can be a nightmare, but they don’t need to ruin your day. At Rowell’s Services, we offer a complete range of professional plumbing services for New Hampshire residents. We understand how much you rely on your plumbing system every single day, and we are here to make sure yours runs like it should. Whether you need plumbing installation, maintenance or repair, we do it all! Whether you’re having your home repiped or you need to have plumbing installed in a newly constructed home, having the job done right is crucial. When improperly installed, plumbing systems can cause years of problems. If you need to have a new plumbing system installed, you can count on us to get it done right. No one wants to deal with plumbing repairs, and keeping up with maintenance is one of the best ways to avoid them. 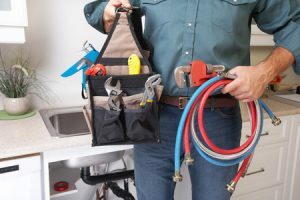 Modern plumbing systems are relatively self-sufficient, but it’s still a good idea to keep up with some routine maintenance to keep your system running like it should. When plumbing problems do arise, you need a plumber you can depend on to respond promptly and solve the issue in a quick, efficient manner. At Rowell’s Services, we have technicians on call 24 hours a day, 7 days a week to respond to plumbing emergencies, and you can always depend on them for affordable, high-quality repair services. When you are in need of a dependable plumber in New Hampshire, look no further than Rowell’s Services. We offer a complete range of plumbing installation, replacement, maintenance and repair services, and we are always here to help when you need us! We’ve been serving the area since 1983, and you can count on us for quality and affordability. When you need plumbing services in New Hampshire, call 603-934-4145.